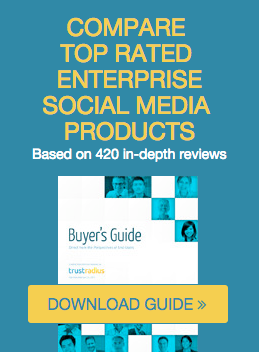 blog.TrustRadius: Can you trust reviews on TripAdvisor? Lessons for B2B. Can you trust reviews on TripAdvisor? Lessons for B2B. The essence of the story was that while TripAdvisor has developed enormous scale with more than 100 million reviews, “the trouble is that there is no way of proving how many of its reviews are genuine and how many are the work of fraudsters with axes to grind or hoteliers blowing their own trumpets.” The article shared a story of a hoax restaurant review which fooled foodies into trying to find a UK restaurant that didn’t exist. Another anecdote related the story of a hotelier exposed for writing 106 reviews praising hotels within his group and disparaging competitors.